Judge Mitchell then went on, however, to reconcile his holding that a lis pendens is not itself a transfer with the applicability of § 547 by holding that any transfer that would arise from the lis pendens necessarily relates back to the date of the filing of the lis pendens. Tr. 31-33. 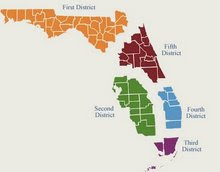 In doing so, Judge Mitchell looked to In re Whitehead, a bankruptcy decision from the Southern District of Florida applying Florida law, for this relation-back proposition. 399 B.R. 570 (Bankr. S.D. Fla. 2009). On this point the Court affirms the reasoning of Judge Mitchell. It is clear that the purpose of § 547, like the trustee's other avoidance powers under the Code, is to encourage an expedient and just disposition of the debtor's estate and to “discourage unusual action by either the debtor or his creditors during the debtor's slide into bankruptcy.” S. Rep. No. 989, 95th Cong., 2nd Sess. 88 (1978). Entangling the estate with unmerited claims to property and evasive disposals of property are thus frowned upon by the Code. To this end, Judge Mitchell's specific reliance on In re Whitehead is telling. Tr. at 33-34. In that case, the bankruptcy judge in the Southern District of Florida held that a lis pendens did function as an avoidable transfer under § 547. This was because although Florida precedent, like Virginia's, held that a lis pendens did not create a lien, “the express provisions of 11 U.S.C. § 547(e)(1) do not require that a lien be created in order for an interest in the property to be transferred.” Id. at 573. Rather, “by putting the world on notice of his equitable claim to the properties, [the party filing the lis pendens] acquired an interest superior to that of a hypothetical future bona fide purchaser” which suffices under § 547. Id. In other words, filing a lis pendens certainly does not create a lien, but it is a “consequential action” which § 547 permits the trustee to avoid, provided it occurs within the requisite 90-day period. Id. As such, although Judge Mitchell did hold that a lis pendens is not a “transfer,” his ultimate reliance on § 547 aligns itself well with the underlying purposes of the Bankruptcy Code and the Virginia recording statute.